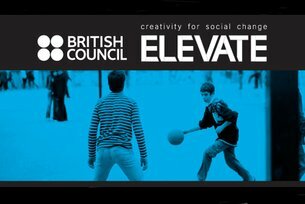 The ELEVATE StartWell™ Challenge, presented by the British Council in partnership with the Lien Foundation, is focused on developing innovative new concepts to improve early childhood (0-8 years) play. The Challenge invites applicants from a range of industries – including design, art, performance, education and technology – to use their creative skills to imagine new and exciting ways for children to engage with play spaces – indoors, outdoors, in urban or natural spaces, conceptually or technologically. The creators of the best 12 ideas will be invited to attend the ELEVATE Innovation Camp at the Yamaguchi Center for Arts and Media [YCAM], Japan in February 2015 to further brainstorm, collaborate and prepare a final project submission to potentially secure a share of SGD$50,000 Challenge funding to realise the idea or invest in further professional development.